Please try these recipes. These recipes are meant to be shared and enjoyed by all. If you have a recipe you would like to post, please send it with your contact information and we will publish your recipe. Click on the Post Recipe Link. 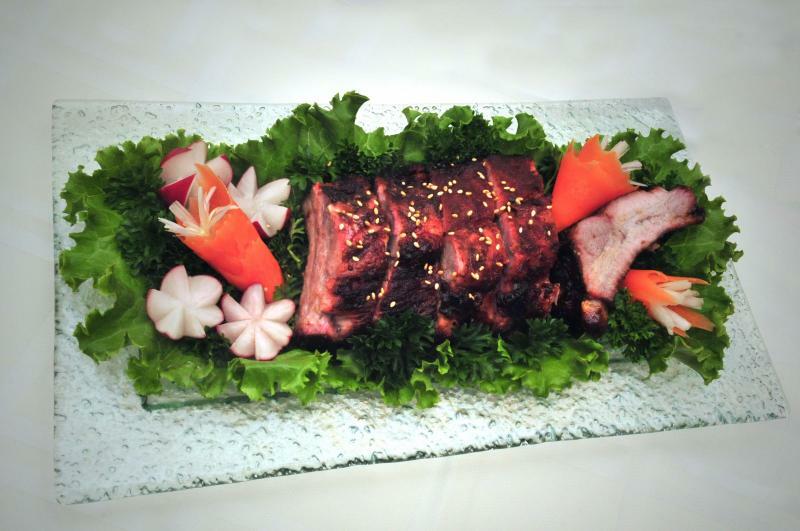 First do not separate the ribs. Remove the thick membrane on the rib side/fat side. Rub both sides of the ribs with a good portion of the rub. Work the rub in with your hands and wrap in plastic and place in the refrigerator for at least four hours. Over night is better. Get your BBQ or smoker ready, 200 – 250 degrees. Let the ribs rest outside of the refrigerator for at 30 minutes before cooking. Place the rack rib side down over indirect heat. Indirect is important, no flare ups! They should be ready in about two hours. Meat Temp should be 160 degrees for pork. If you can keep your smoker at 200 degrees, this is best. Add some time to that 2 hours and the ribs will be perfect! Mix well and mop liberally. Combine all dry ingredients in a small bowl and whisk together to evenly distribute. Set aside to allow it to reach room temperature. Set up a small smoker box in the grill. The smoker box will only provide smoke while the grill is lit. You will only fill the box initially and allow it to burn out. Place the rotisserie in place over a preheated grill with drip pan beneath the roast. Cook on high for about 15 minutes to sear. Reduce heat in grill and cook for an additional 2 - 3 hours – (approximately 20 minutes per pound) keeping the lid closed except to baste liberally with the Mop Sauce. When roast internal temperature reaches just under 160F, remove from grill and wrap tightly in foil. It will continue to cook. Let sit for about 15 – 20 minutes, then carve and serve. Combine the ingredients in a sauce pot and bring to a boil. Reduce heat and simmer for 30 minutes. Thicken to taste with corn starch mixed with water. Add 2-3 TBS of Hunan Red Chili Sauce. Add a ¼ to ½ Tsp of Red Pepper Flakes depending on taste. Let stand for 15 minutes. Apply this sauce to the chicken only ten to fifteen minutes before it is finished cooking. This sauce can also be used as a dipping sauce. Rub the Chicken with Big Pig Spicy Chicken Rub at least four hours before grilling or smoking for that Championship Chicken. Combine the Lettuce and onions in a large salad bowl. Cover and refrigerate. Brown the broken noodles, sunflower seeds and almonds in the butter. Once the mixture is browned, drain on a paper towel and set aside. Mix the Olive Oil, vinegar, soy sauce and sugar. Chill for at least one hour. Add the noodle mixture to the lettuce and add the dressing. Make sure the dressing is well mixed. Build the salad at the last minute to keep it crunchy! * The original recipe calls for margarine. I don’t care for margarine so I substituted. In a large bowl, combine all of the above ingredients. Mix well and pour mixture into a greased pan. The best pans to use are Cast Iron Skillets or the Cast Iron Corn Stick Molds. Grease the pan with the balance of the bacon drippings. Bake at 450 degrees for 20-25 minutes or until golden brown. Best served hot. If it is made right, you will not need any butter! Place a pound (or more) of bacon on a cookie sheet. Cover the cookie sheet in parchment or aluminum foil. Sprinkle it liberally with brown sugar. Finally, sprinkle hot pepper flakes on the bacon (as hot as you and your guests can stand). Place cookie sheet in the smoker and let it smoke for approximately 30 minutes (or until crisp). 350-400 degrees. I was going to enter this recipe in the Gnarlyhead Winery Rib Recipe Contest, but since I was from California, I wasn't eligible to enter even though the winery is in California, Go Figure! 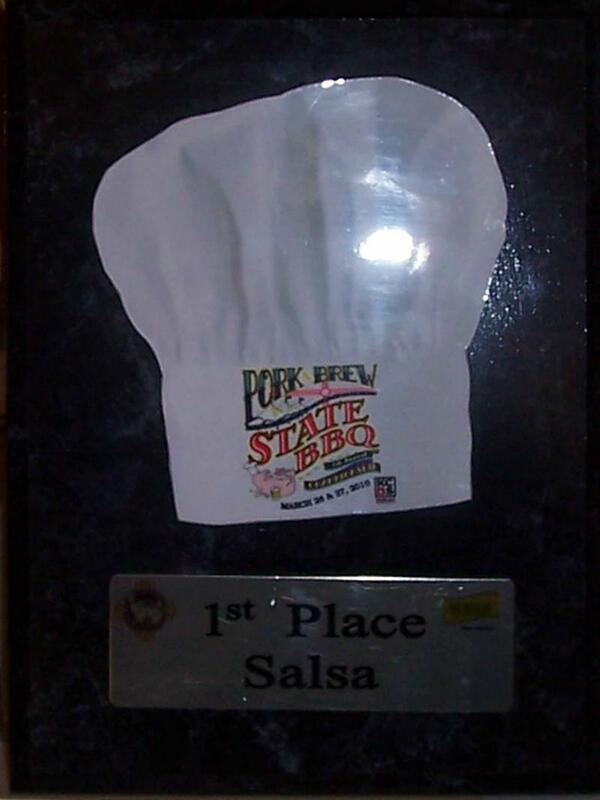 If you would a recipe please e-mail me at bigpigbbq@earthlink.net and I will send one out. This dish can be used several ways. One; you can simply spread the butter on your cooked corn boiled or roasted o, two: you shuck the corn coat the corn on the cob and wrap it back in the husk and secure it with a layer of foil and grill it for approx 20 minutes on a hot BBQ grill. Remember to turn the corn several times while cooking. The corn should be hot and steaming with finished. Put the butter in a mixing bowl and mix in the cilantro, lime zest and juice, salt and cayenne pepper. Use a fork to help up the butter and mix it all together with a rubber spatula. Use immediately or refrigerate. 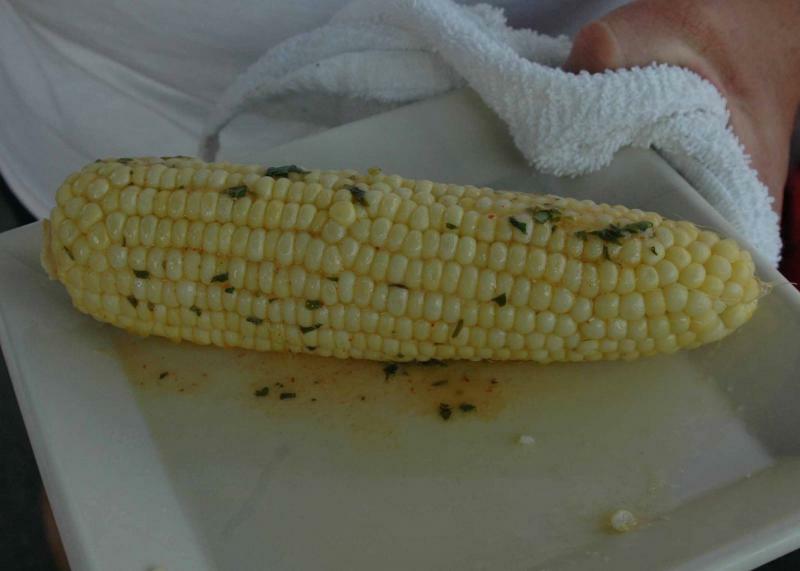 This is an easy dish to make and you will love corn on the cob even more! Dice the tomatoes and onions, finely chop the chilies and combine in the bowl. Add the cilantro, garlic, white pepper, and salt. Mix well and add the juice of the two limes. Place in the refrigerator for all of the flavors to marry. If you can wait, overnight is the best. 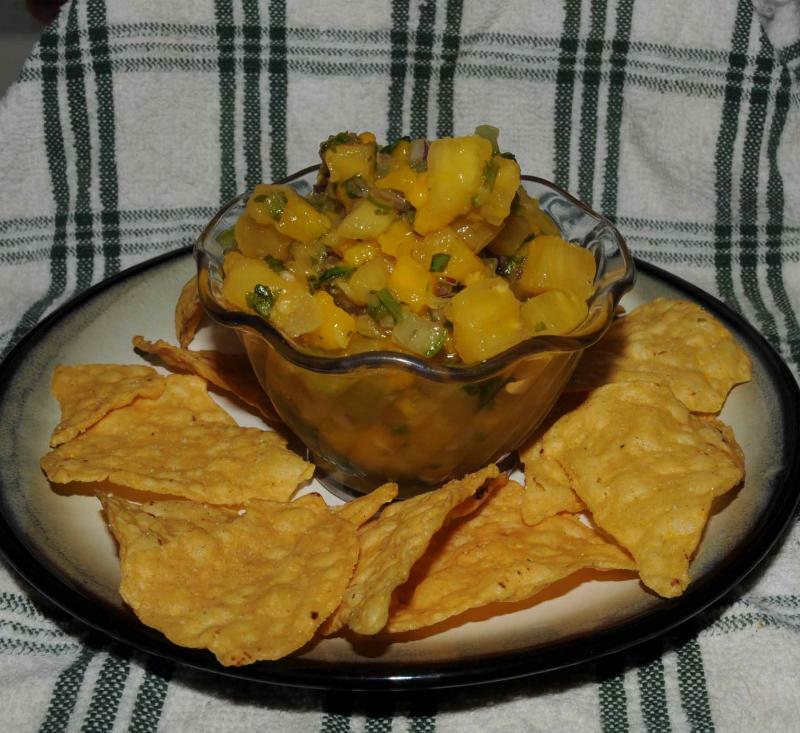 Serve with chips, tacos or any thing else you may like to add fresh salsa. A tasty variation, roast the Tomatoes, Onions and Chilies before chopping. Mix together and form into 2 balls. Roll out each ball between wax paper. Place in the pie pan and prepare the filling. Peel, core and slice the apples, chop the pecans and mix with the other ingredients. Place in crust mounding to the middle. Spread out the butter slices on top of the filling so they will melt when cooked. Mix the sugars, flour & cinnamon. Cut in the butter until the mixture forms small pea sized crumbs. Cover the apples with the crumb topping. 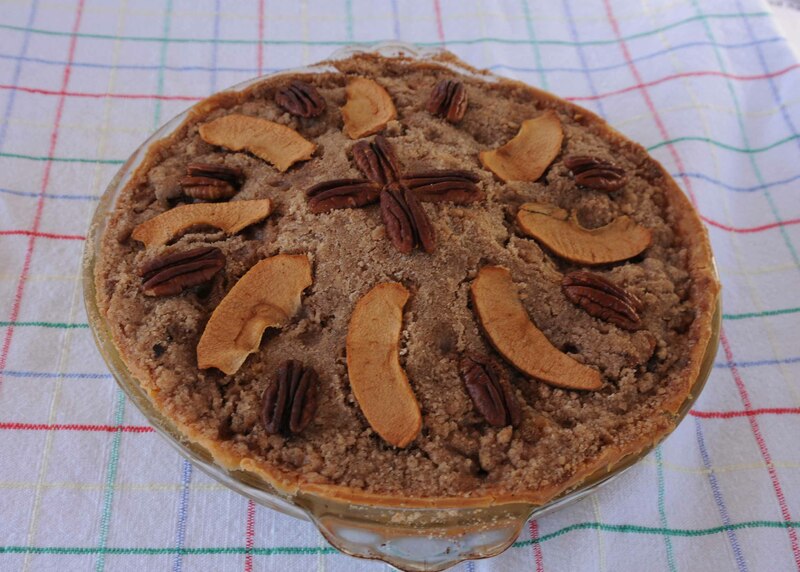 Garnish the pie with apple slices and pecan halves. Bake the pie in smoker at 375 degrees for 40-45 minutes or until golden brown. This is an easy pereperation for a very tasty treat. Rinse the Tri-Tip with cold water and dry thoroughly with a paper towel, Rub in approx 3-4 TBS of Olive Oil all over the the meat. Add the garlic and rub the garlic in with your hands. (you should be wearing gloves) Finish rubbing with Big Pig Steak Rub. 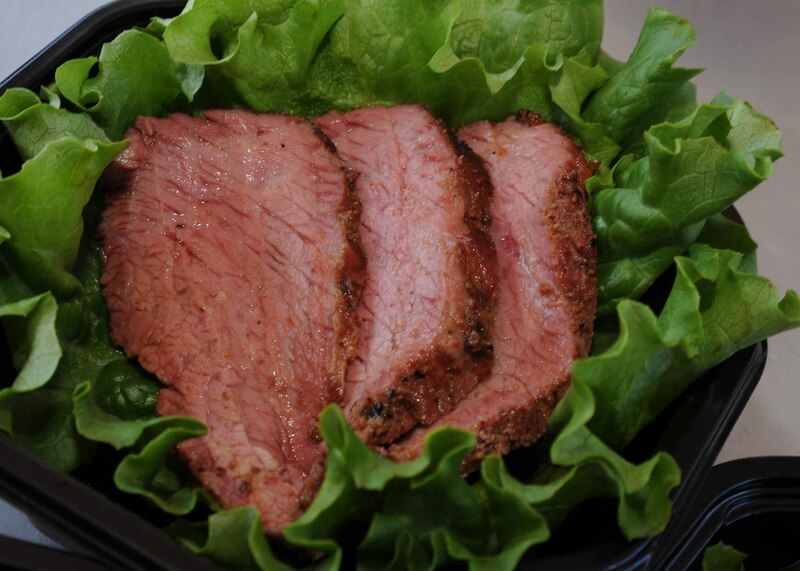 Place the meat into an air tight container and and place in the refrigerator for at least 4 hours, overnight is better. Remove the meat from the refrigerator and give a light sprinkle of Kosher Salt, 30 minutes prior to cooking. Grill, smoke or place on a rotisserie and cook slowly. Take off when the internal temp is 140 degrees. Let the meat rest 15 minutes before slicing. Serve, but make extra, this will make a great left over sandwich! Remove the skin and core the pineapple. Chop into small pieces. Peel and chop the mangos and place in a non-reactive bowl with the pineapple. Peel, seed and chop the cucumber. Chop the onion and cilantro. Add the cucumber, onion and cilantro to the bowl. Finely mince the peppers and add to the mixture. Add the salt and mix together. Prepare the orange juice in a separate bowl. Add the ginger and brown sugar to the juice. Stir until the sugar is dissolved. Pour over mixture and mix well. Cover and place in the refrigerator for at least two hours to cool and allow the flavors to blend. 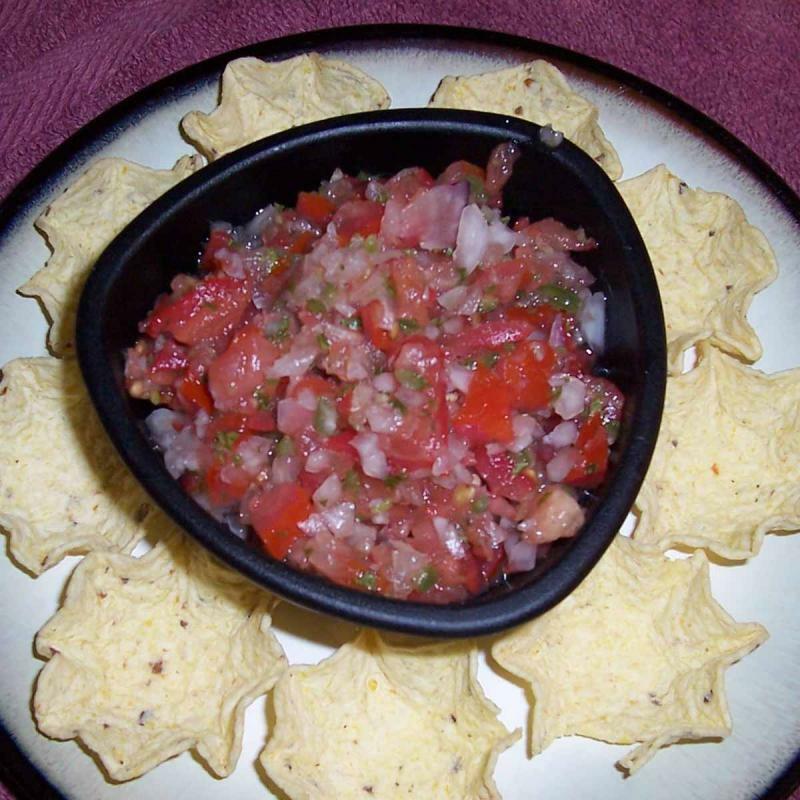 Serve with chips or crackers as a dip or as a side addition to any fish entrée. Elk Chili and some veggie dishes that even your vegan friends would enjoy. You may even get your kids to eat the veggies. Copyright 2010 BIG PIG BBQ. All rights reserved.